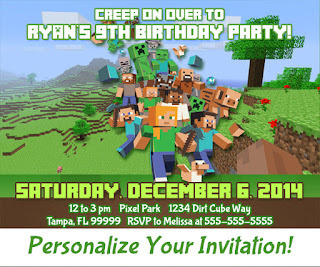 thank you so much your blog was soooo helpful you will make my son's birthday party a success. Awesome. I've had a hard time finding anything minecraft. My son will be a happy camper! That is ever so lovely of you to share! Thank you! Thank you so much for sharing this. 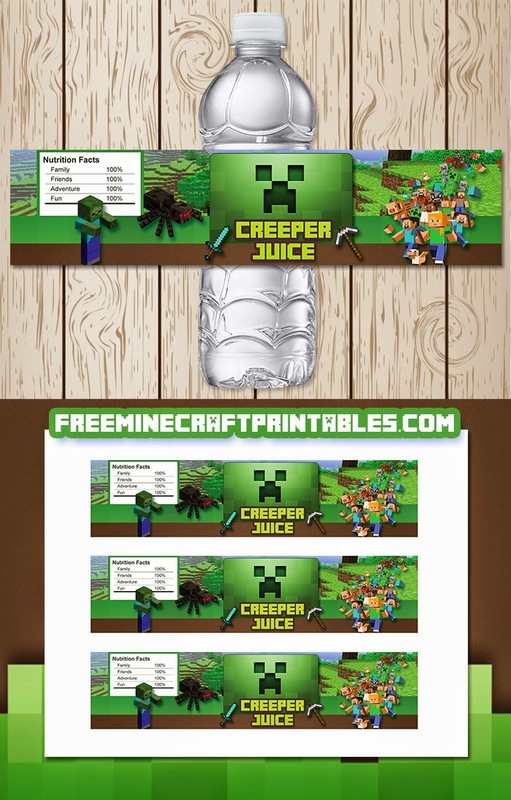 I am doing a minecraft party for my son and this is so useful. Saves me so much time and money. Thank you so much. You are so helpful. Thanks for sharing and being so generous in letting me download the file for the kids birthday party. appreciate it so much. Truly a life saver. Thank you so much for sharing these printables! They are perfect to use for birthday parties and library programs. Thank you so much for sharing! This is going to be a great addition to my sons birthday. Fantastic work! Ok, I just found the rest of your printables. You are awesome for sharing this with everyone. This mom is forever grateful to have found your site. Cheers! What material did you print on so it would last? The download link for the free version is at the end of the article. You only pay if you want to customize. Hi im trying to get the water bottle label but it says i have to pay for it. Is this item free? Just scroll down and hit the download link. The top link is only if you want customization. I am unable to print the waterbottles for free. Am I doing something wrong? Ok, try now. Click on the download link at the bottom of the article. I updated the link. Worked great for me. Using Greenshot (a free screen capture utility) I copied one label and pasted it into a Word template I got from milcoast.com. I got some of their "Glossy Waterproof DIY Water Bottle Labels" for like $8 from Amazon. The labels kept getting stuck, though. Until I turned them over... Apparently I was putting them in upside down. As always. Anyway, thanks for this resource!